Boy oh boy do I have a treat for you today! WOO HOO! House tour anyone? 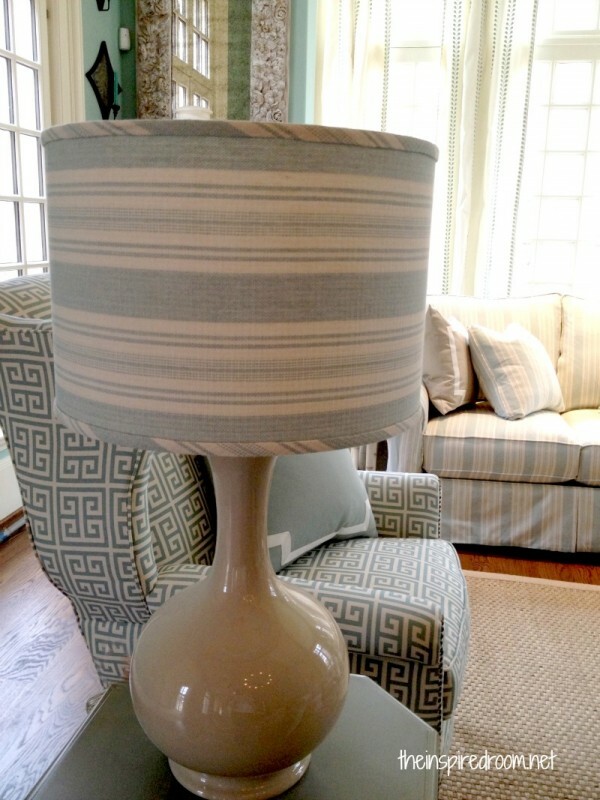 Last week I was invited to Atlanta for a Ballard Designs blogger event. It was a really small event for a small number of bloggers and WOW, was it ever fun! I have so much to show and tell from that event, but today I wanted to take you with me on a beautiful house tour! Let’s go! I only had my iphone camera with me, which just could not do this home justice! But, this was a truly fantastic home and it will not disappoint. It was a newly built private residence (dream home!) 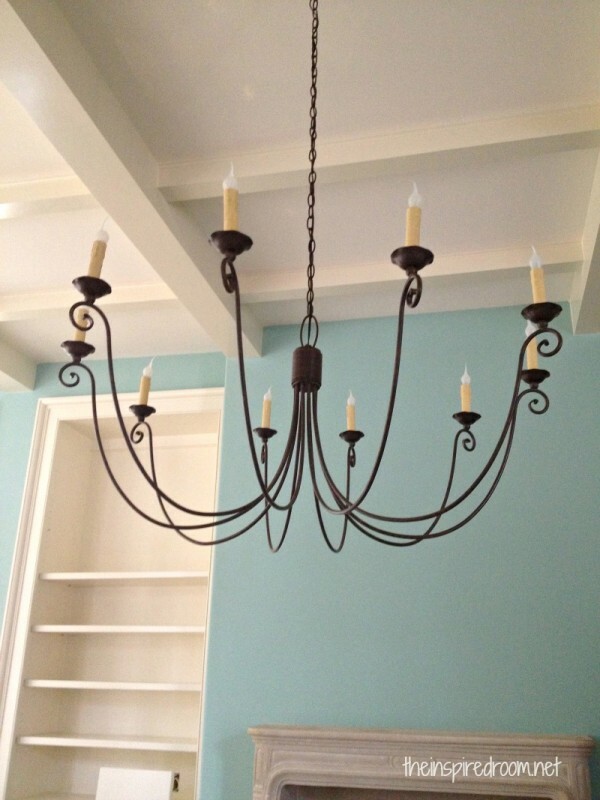 that was rented by Ballard Designs as the setting for their upcoming catalog. They brought in furnishings and accessories and lots of photography equipment to set it up for a photo shoot. Most of what you see is Ballard furniture, so if you have any questions about pieces you see you might find them now or in the future through Ballard Designs. Do you not adore that ceiling? I’m totally going to add beams to my house someday, it adds so much character! And the curtains, swoon!!! 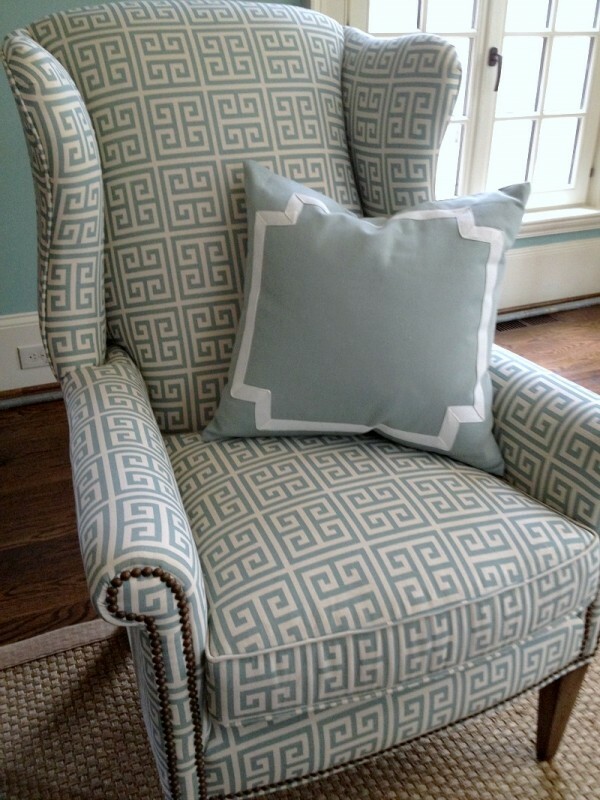 I was crushing on that Greek key fabric on the wingback. OK, just one more peek closer up of the nailhead wingback. I want. 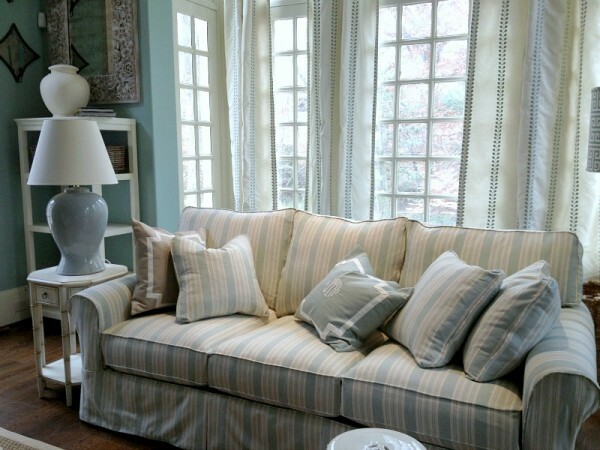 This slipcovered sofa is so fresh and pretty! Perfect for every day living. The giant light fixture was hanging over this second seating area in the main room, which was anchored by an adorable blue rug. The kitchen filled with cameras and supplies but I just loved it! The perfect size, not too big but oh so perfectly beautiful. 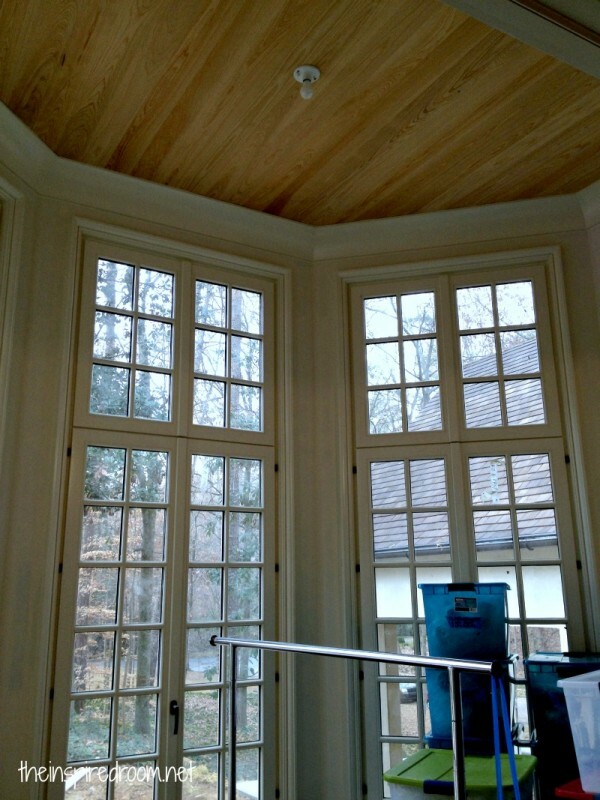 Love the awesome wood ceiling! This is the beautiful rounded entry. Hello gorgeous double wood doors. 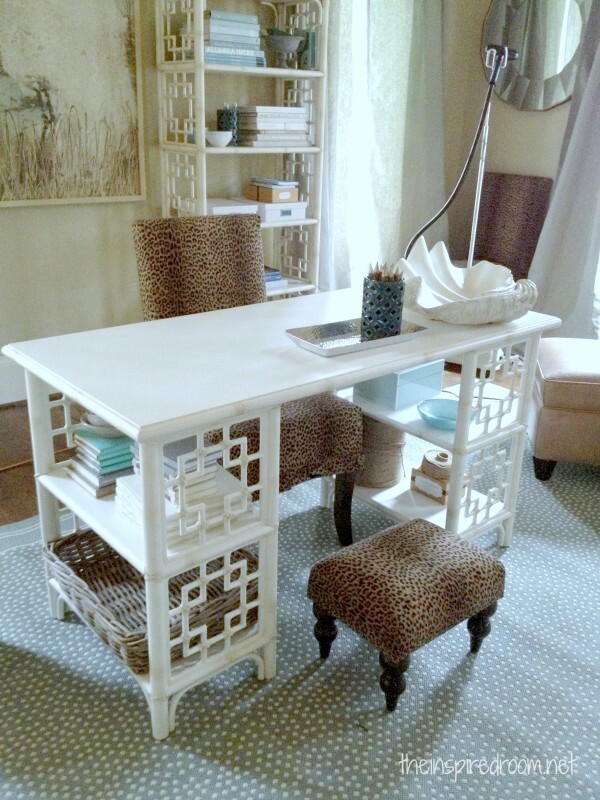 Sweetest feminine office, love the desk and shelving units! 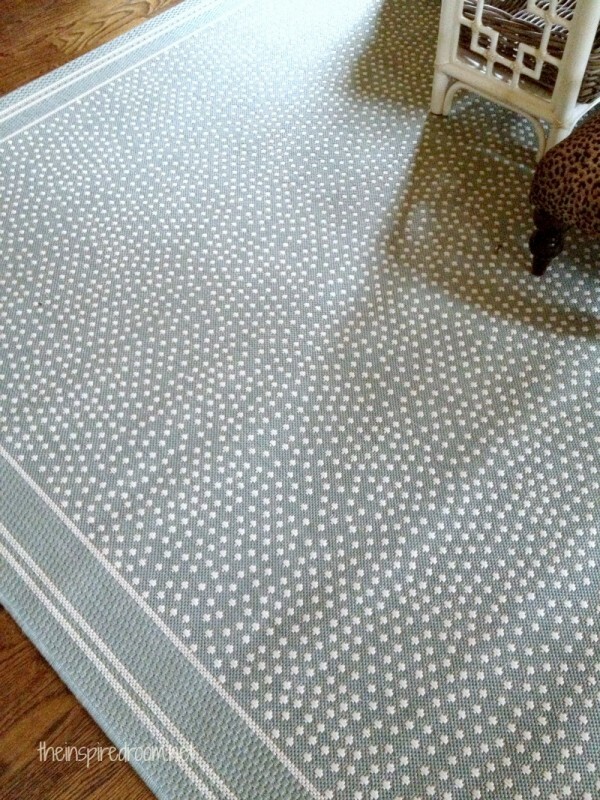 This is an indoor outdoor rug, so cute and durable too! 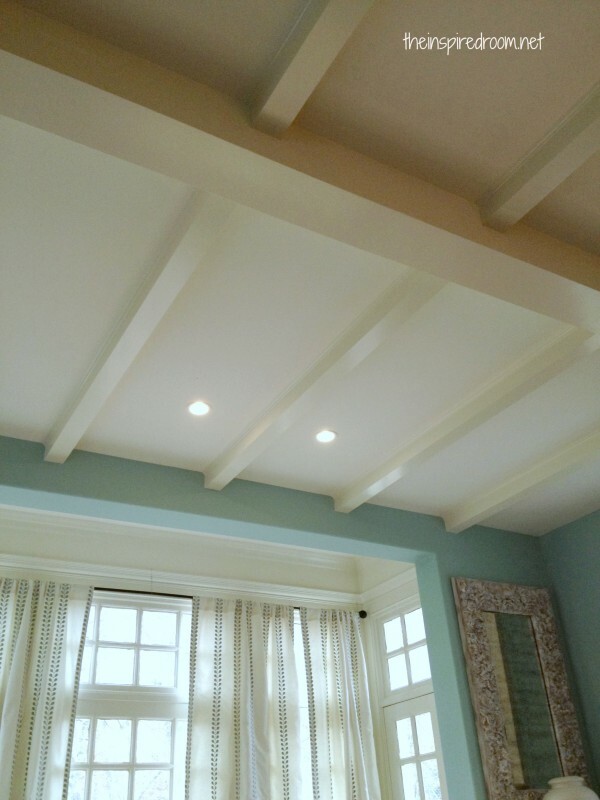 More wood beams to add charm and character. The windows were AMAZING! 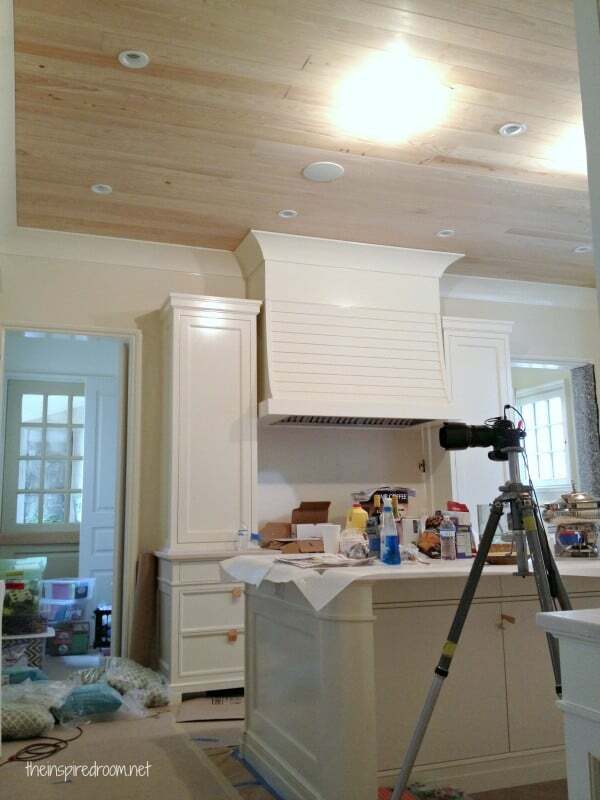 And how about that wood ceiling? Details, people. Details. This sweet little pup was just hanging out on the chaise! HA! Isn’t he precious? Honestly, my mouth dropped to the ground when we first pulled up to the house we were going to tour. OH DAY OF MY DREAMS! I may or may not have started drooling. 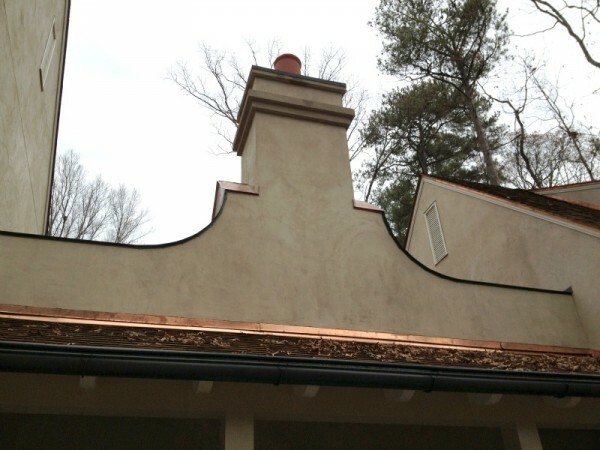 I obsessed over all the details like the copper trim and chimney! 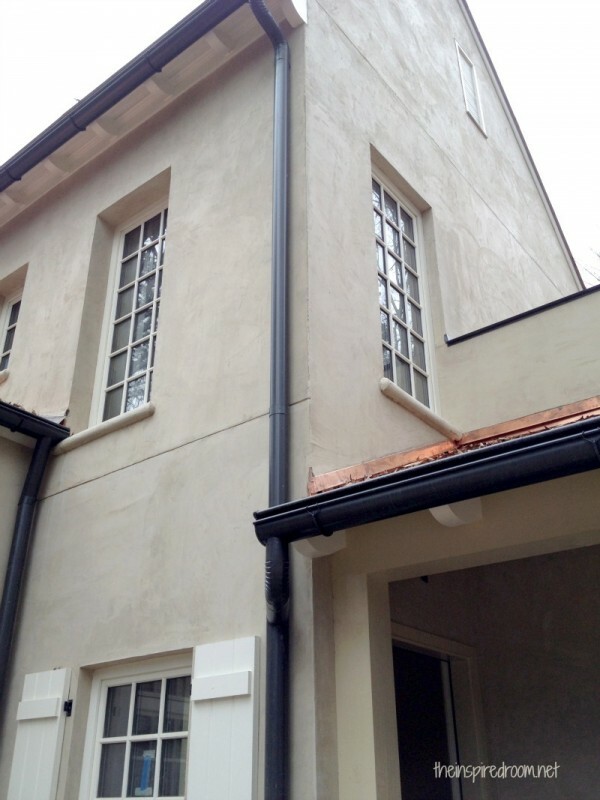 Ooo, and black gutters and white shutters…so awesome! This house is beyond amazing! We are interested in buying this farmhouse from 1915 and it gives me hope that I could remodel something along the lines of this. Oh, I like the sounds of a 1915 farmhouse! Wouldn’t that be fun? That house looks amazing! What a great opportunity to see it in person. Wow!!!!!!! So funny I am loving Greek key design too!! Black gutters. Wow. Now that is something I want to take from this and try for my own home. Everything was just to die for! Thanks for sharing! I love Ballard. What an amazing day that must have been! Thank you so much for sharing with us! You lucky girl, you! That kitchen was beautiful!!! (and the beams, and the wood ceiling, and the indoor outdoor rug….) I’m drooling too! it’s ALL about those windows! Amazing, and such fantastic seating and fabrics! What a beautiful house, I love the architecture. Looks like Ballards has some fabulous new products! What a fun event for you. I love that ceiling, too. 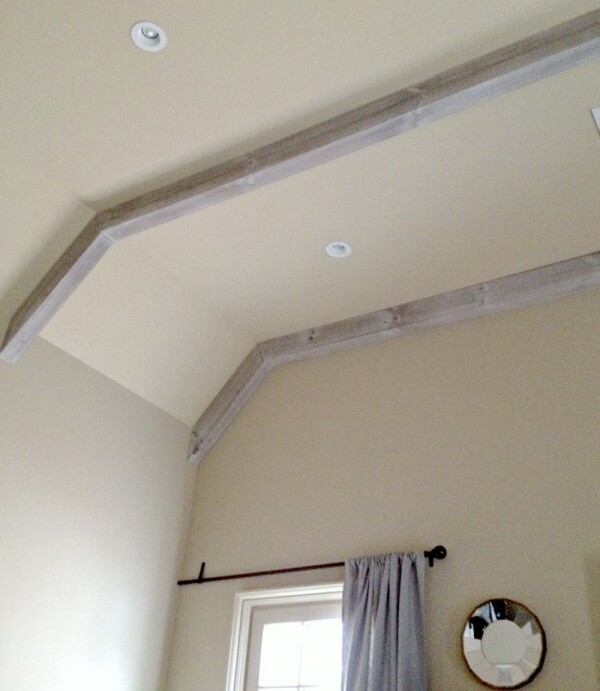 I keep saying I’m going to add beams or wood planks to my great room ceiling, but it just seems so daunting! I love the look though so I’m sure I’ll get to it one of these days. 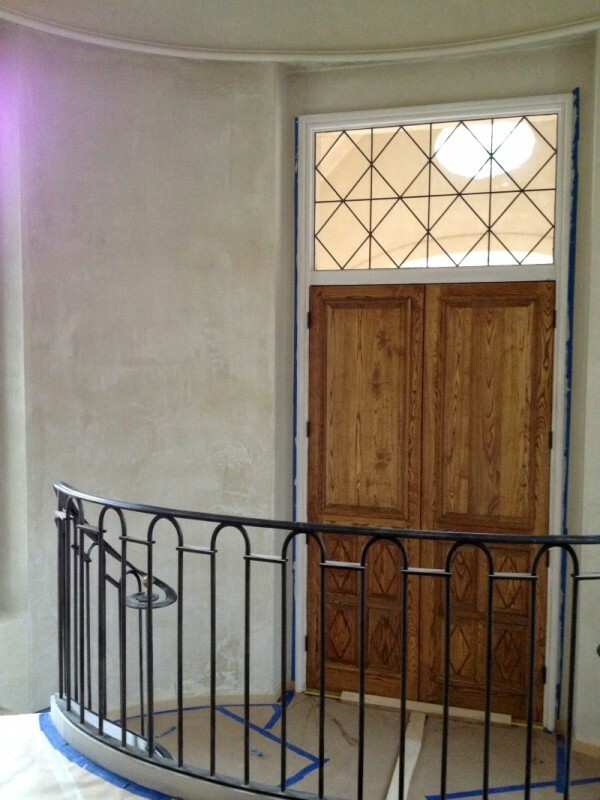 Do you know, or know where I could find out, what paint color that is on the walls?? The blue color in the beginning photos??? Thanks! 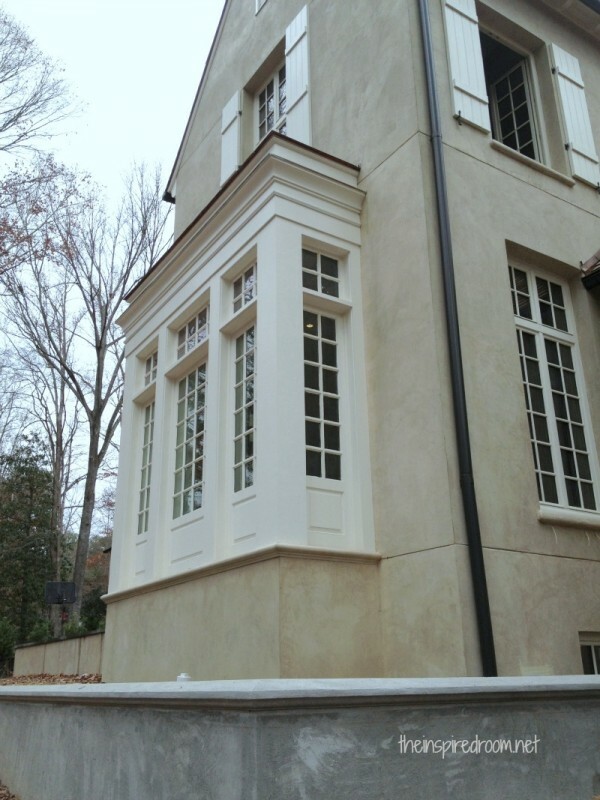 Just got the paint color from Ballard Designs! It’s Sherwin Williams 6471 – Hazel. I love it too! So so pretty!! Thank you! On the Sherwin Williams website, Hazel looks much more green. When you saw it in person, would you describe it more as a blue base, as it looks in the pictures, or more of a green base, as it looks on the Sherman Williams website? Or, I’m wondering if those rooms get tons of light and really make the color look brighter. 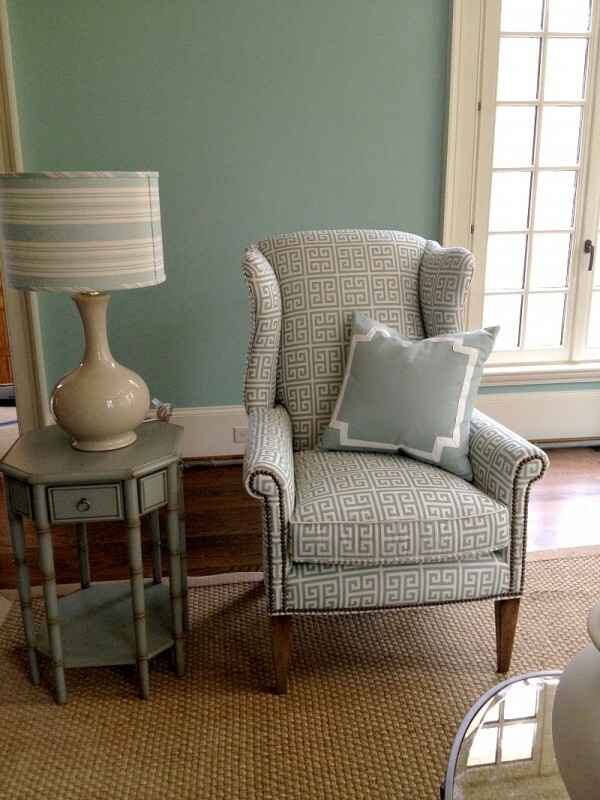 I’m looking for more of a pale turquoise color….any recommendations? Hi Claire! Well, I had to brighten the picture because it was actually kind of dark in there for picture taking. But, if I remember right, I would say the walls seemed more blue than green and brighter rather than pale. I would suggest you get a small sample size and try it on your walls to see what you think if you kind of like it in the pictures. If you want something lighter, what I’ve been doing lately is asking at the paint store for that color to be lightened or I have done it myself with white paint. :-) Good luck! It really was a striking and pretty color! 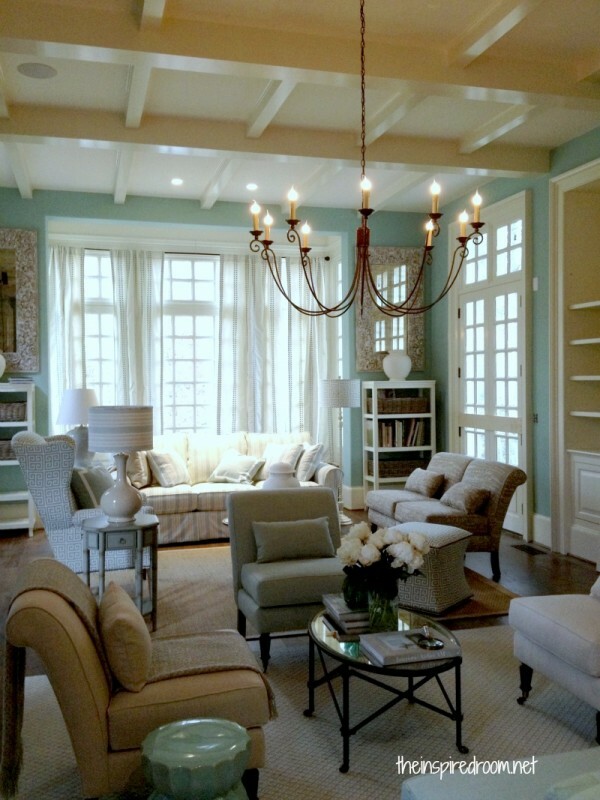 I LOVE those ceilings! Gorgeous! Looks like you all had a great time and what a fun place huh?! I’ve enjoyed reading everyone’s posts and seeing the fun! Now THAT is an amazing house!! 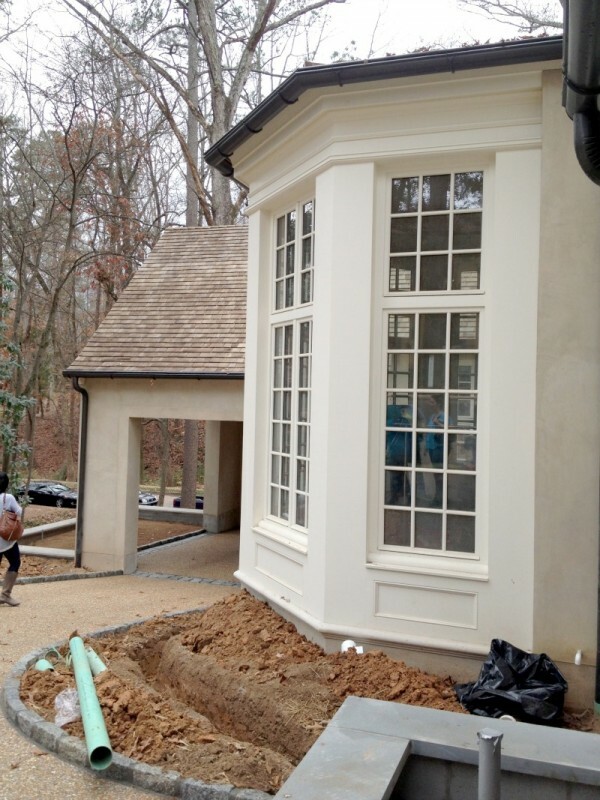 What beautiful architectural details!! 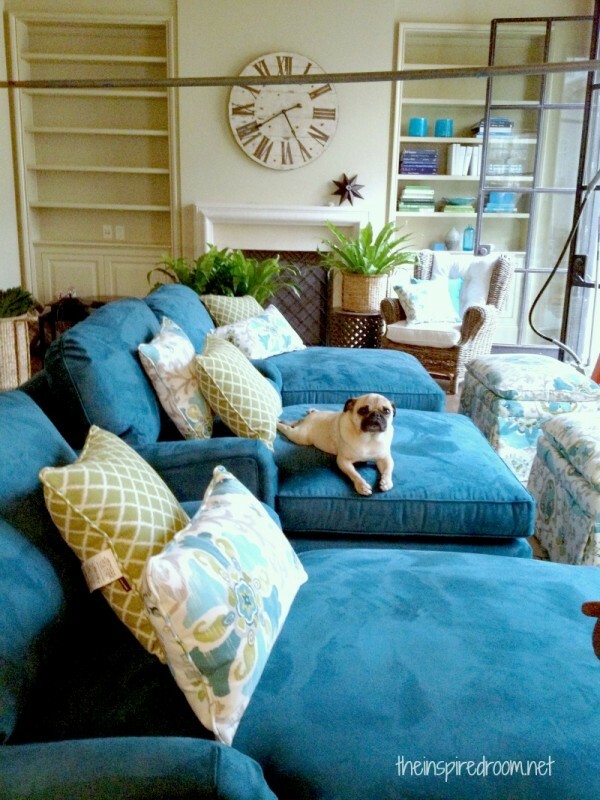 And…seriously when I saw the first photo I thought….this looks like you and your home!! So glad you were give this wonderful opportunity. 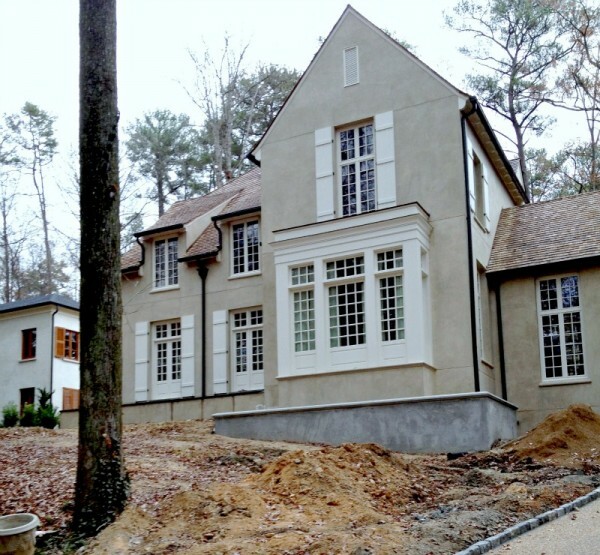 I love that there is so much to take away from this dream of a house! Wooden ceilings, wood beams, charming windows, indoor/outdoor rugs, kitchen details…..
Melissa, we’re so happy that we got to meet you. LOVE these pics – it’s like reliving it all over again! We had such an amazing time with all of you. Thank you for the kind words! 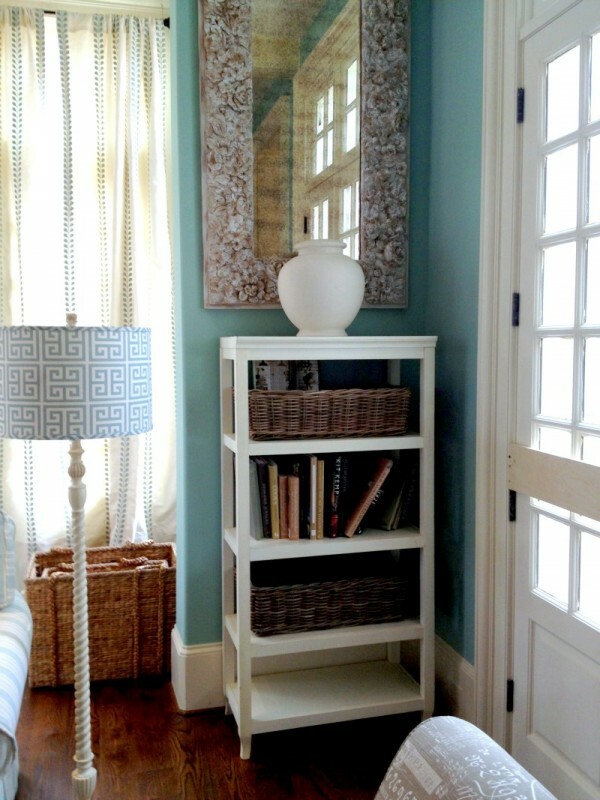 Also wanted to share the yummy paint color with anyone who’s interested – it’s Sherwin Williams 6471 – Hazel. And I’m thrilled that you had the paint color, I’ll pass that along! So pretty!! Looking forward to working with you again, it really was fun! 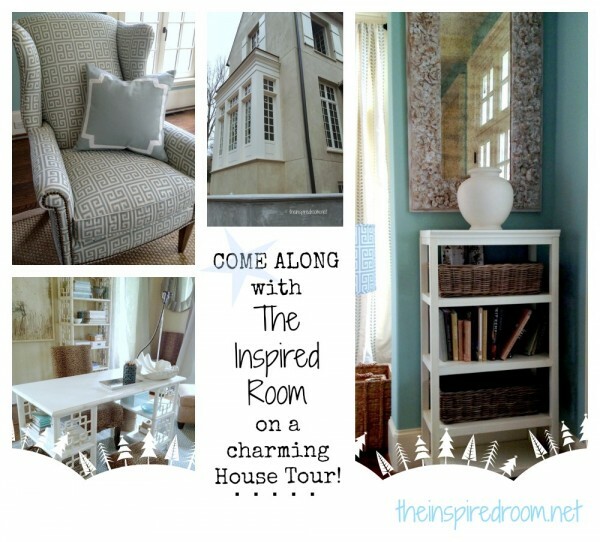 Melissa, I really enjoyed going along with you on this home tour via your blog…so fun! If you like wooden plank ceilings and beams you would like the house we lease…we have them throughout our home with the cathedral pitch. We have lovely big windows throughout so we can enjoy our tall pine trees, old oak giants and a wonderful creek that does turn into a good size river when we have a hard rain. No worry though as we have plenty of elevated ground that keeps us above danger. The house is not on the market though the owners would like us to buy it. We have some business decisions to make before we commit. Saying all this, brings me to the lovely furnishing you shared today. Oops! My screen started jumping around and I hit submit before finishing…lol! The furnishings and colors would look so delightful in my home and even if I don’t stay here I’m sure I could adapt them to whatever home I move to in the future. I seldom see so many fabrics, designs, and accessories in one grouping that I like as well as these. Thank you again for sharing, you made my day! 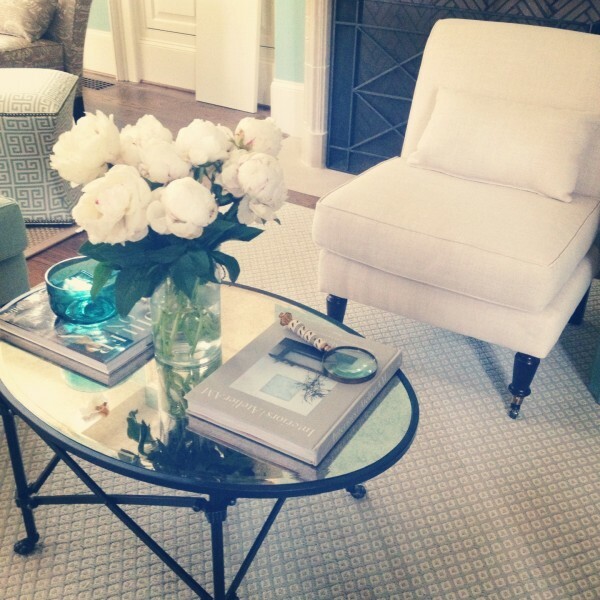 Looks like a fun day spent at a beautiful home! I live that desk-any idea when it will be available at Ballard? Thanks!